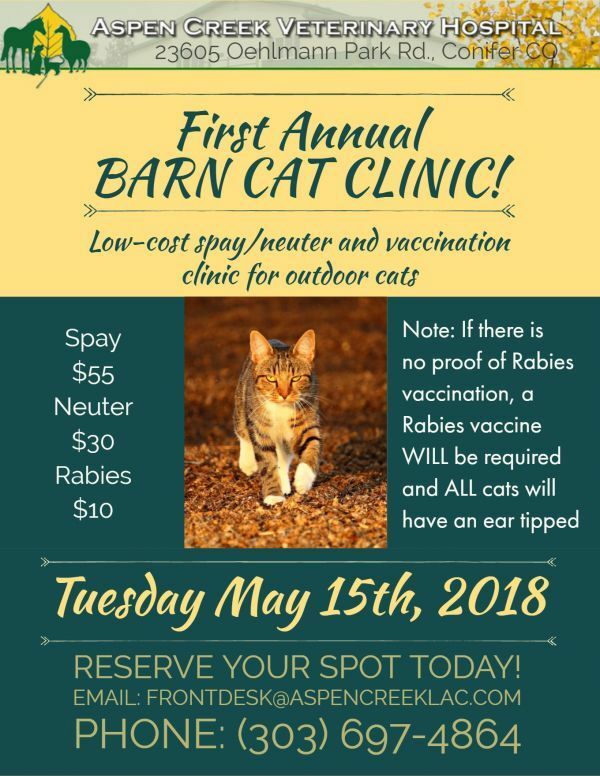 Aspen Creek Veterinary Hospital is excited to announce that we are holding a discounted Spay/Neuter day for Barn Cats on Tuesday, May 15th. We will be offering discounted vaccines, de-worming and surgical sterilization for 1 day only, so don't hesitate to call the Hospital and get your cat scheduled! Your cat must be up to date with a Rabies vaccines or you must be willing to get one, and one ear will be tipped in order to denote that the cat is sterilized, no exceptions. Please see the attached flyer for more information and pricing.